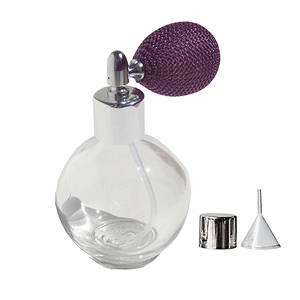 Clear glass Round bottle with Purple antique style sprayer top. Spray top is screw on type allowing bottle to be refilled. Made of thick glass. Small plastic funnel is included.